The skink is holding a dragonfly's head and thorax in its mouth. 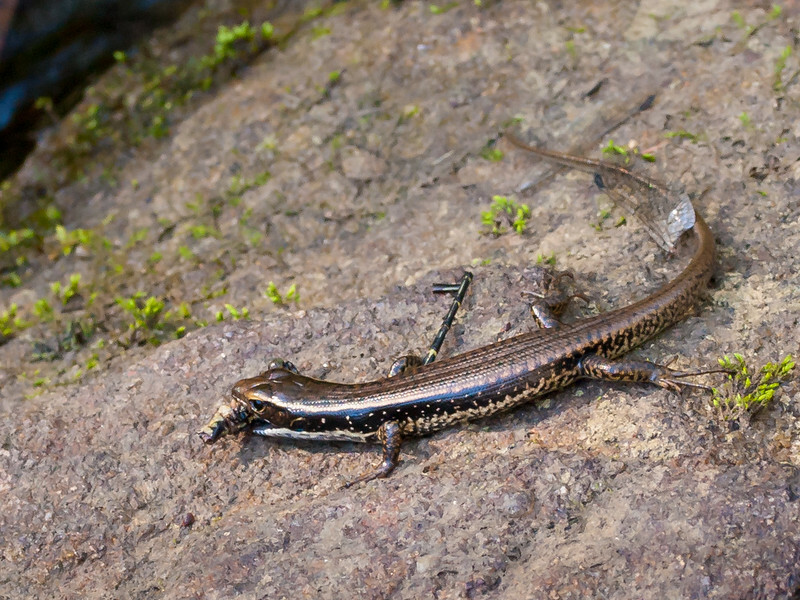 The abdomen lies to the skink's right and a wing on its tail. This is a juvenile about the size of a Garden Skink which I thought it was at first until I saw the matkings close up.